Released in February 2000, this triple-CD set of 1998 Robert Rich live recordings (from shows in Stanford, Venice, and Pasadena, California) is one of the most hotly anticipated releases ever for Hypnos (actually a Hypnos/Soundscapes co-release). Over three hours of music, utilizing some of the techniques of Rich's renowned "Sleep Concerts," as well as some sounds and interpretations of his highly-regarded collaboration with B. Lustmord, STALKER. Fans of all phases of Rich's career will want to have this. The live tapes have been carefully remastered by Robert himself to match the extraordinary standards of his studio recordings. This is one we're very proud of, and one that is sure to rank among Rich's most important works. "Best of 2000 list (#12)." "Humidity is three discs of three California concerts recorded live in April and May of 1998. The first disc was recorded on April 2 in Stanford, the second on May 9 in Venice, and the third on May 10 in Pasadena. Each of these three discs has its own distinctive sound, but all three have the Robert Rich stereo depth and audiophile quality that he's known for. 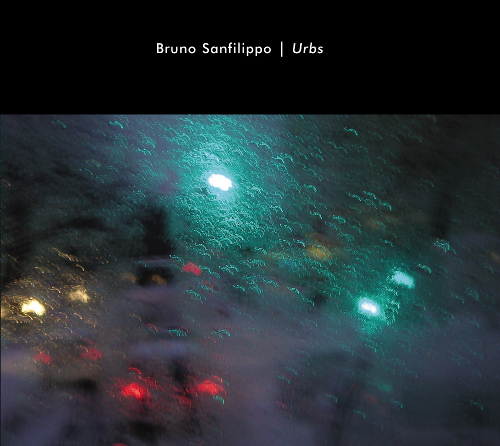 Humidity is less drone-y than some of Rich's earlier stuff, particularly Sunyata, on the Hypnos Recordings label, and Trances/Drones, which was re-released in 2000 on the Release/Relapse label. In fact, this recording is more along the lines of Rich's exotic stuff -- Seven Veils, A Troubled Resting Place, and issures -- complete with the synthesized sounds of acoustic ethnic instruments and chanting disembodied voices floating above Rich's densely layered electronic textures. 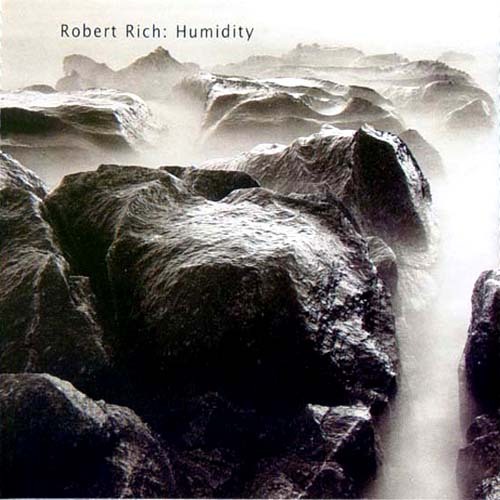 Humidity is a great introduction to Robert Rich's work, but his studio recordings are really the best place to start." "The second release from Robert Rich's Soundscape sublabel on Hypnos, Humidity is a three-disc collection of three live improvised concerts performed by Rich when he was on tour during the spring of 1998. Much of the music on this release resembles Rich's classic 1995 collaboration with B. Lustmord, Stalker. (In fact, two of the tracks are reinterpretations of pieces from Stalker featuring B. Lustmord's recycled contributions.) Humidity is more active and dramatic, however; perhaps another good reference would be Fissures, Rich's collaboration with Alio Die. Humidity would be worth owning if only for Brad Cole's eerily beautiful cover photography (reproduced on a larger fold-out poster inside), and fans of Stalker, Fissures and Rich's other more abstract works will love immersing themselves in these sounds for three hours." "You needn't know that track one is called "Lost Caverns of Caryatis" to realize that's exactly where you've been taken. The craggy terrain is damp and the night is filled with howling things and chittering creatures. Rich's trademark woodwinds have the air of ghosts blowing through cracks around the windows. His use of slide guitar achieves a theremin-like effect, accentuating the sense of horror and dread. This three-disc set documents three improvised concerts representing Rich's more brooding and contemplative material. Veering far from the more familiar and melodic ground of his brilliang SEVEN VEILS, Rich paints hypnotic plateaus that are barren and vast, blanketed in mist and laden with sublime anxiety. Rich is renowned for his unique Sleep Concerts, where a sleeping audience is actually the desired goal. HUMIDITY combines some of that with elements of the drone work for which he is equally respected. The cumulative effect is a dreamscape rife with unsettling imagery. Disc 3 is the most tranquil and structured of the set, and slivers of light are allowed to penetrate the mesmerizing darkness. As a master soundsmith wiht a jazzman's gift for improvisation, Rich has delivered a journey to an unnamed place where the music provides both mode of transport and accompanying soundtrack. (rated 4 out of 5)"
"For Robert Rich, music is a completely immersive experience, one that not only becomes part of the environment but seeps into your pores. He performed sleep concerts in the early 1980s, and that aesthetic still informs the darker, ambient edge of his music heard on Humidity. On this three-disc set (more than three hours of music), Rich has documented three concert performances, each a detailed, slowly shifting world of morphing sound. Like one of Mark Rothko's textured abstractions overlaid on a Dali-esque landscape, Rich presents a translucent surface under which an intricate sound world emerges. Synthesizers shimmer in evanescent waves while flutes and lap steel guitar orchestrate their patterns through a sonic scrim. The third disc is home to this set's most melodic music. On "Steel Harmonics," Rich turns the lap steel guitar into a bluesy space sitar with a hypnotic, snake-like improvisation. (A Critics Choice selection)"
"Humidity is one of those albums that you can put on when you go to bed and it will still be playing in the morning when you wake up. Ambient is Rich's middle name, in case you aren't familiar with his pioneering works in the field. This 3-CD set is a recording of three 1998 live concerts -- they must have passed out blankets and pillows, because it's very slow, lost-in-spacey stuff indeed. Ambient landscape aficionados will have to add this one to their collection as the ultimate Rich experience -- dripping water, short-circuiting wires, rumbling air-conditioning noises and all. While the lengthy compositions may sound like Monstro the Whale's all-time worst case of indigestion as recorded by Pinocchio, it is compelling listening." "Wow! What's there to say. More then three hours of Robert Rich captured in live concert. All from a short time span in 1998, Rich produces three entirely different concerts, of course within the limits he has set for himself. Disc one and three have 'tracks', rather then a ongoing mood piece. The tracks are crossfaded into each other to make it a long flow. Behind the wall of electronic sounds, Rich occassionally uses ethnic percussion and flutes. Luckily he hides that away a bit, because it would be too tedious. Disc two has six parts of 'Beyond' and is indeed one piece with shimmering textures and an odd bang on some ethnic drum. I am sure this release nowhere captures the real thing. Rich likes playing Sleep Concerts - music on end. This is just a home version that still gives a good impression. Perfect music for rainy sunday nights with nothing to see on TV. Utter relax music, or even, indeed, music to sleep by. Beautiful rich music." "This three disc set was recorded live in 1998 at concert performances by Robert Rich. The material is derived from shows in Stanford, Venice, and Pasadena, California. The music documents a crucial aspect of Rich's creative expression which has been much-discussed by fans, but seldom documented on CD. His live concerts, for which he has become renowned, are extended, slowly-evolving explorations into subdued and dream-like states of consciousness. 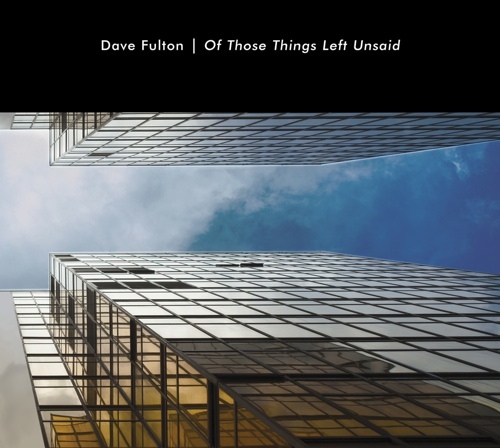 These entirely improvised performances integrate both "played" instruments, and almost subliminally layered textural recordings, lending an exotic, mysterious and truly hypnotic depth to the sound mix. Spanning over three hours of music, HUMIDITY is comprised of unfettered cosmic drones, organic timbres and long passages of respirating ambience, utilizing some of the techniques of Rich's renowned "Sleep Concerts," as well as some sounds and interpretations of his highly-regarded collaboration with B. Lustmord, STALKER, these ethereal textures envelope, cushion and seduce the mind, but as dislocated sounds, their chameleonic effect Is tranquilizing. 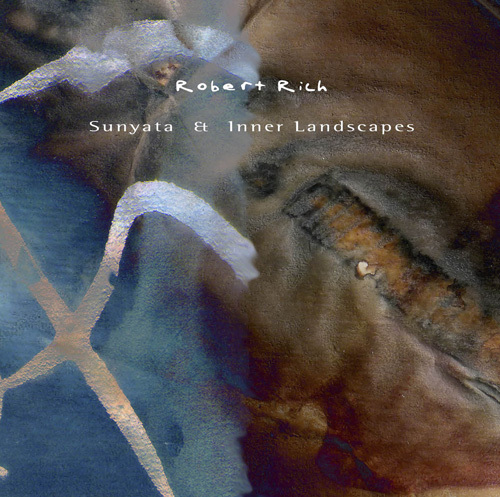 Fans of all phases of Robert Rich's career will recognize his strengths as an artist, from the deep space minimalism, to the extraordinary sonic depth and range, to occasional use of subtly ethnic instrumentational accents. The live tapes have been carefully remastered by Robert himself to match the extraordinary standards of his studio recordings. HUMIDITY is sure to achieve a place of significance among Rich's already-substantial body of work." "The live essence of Robert Rich has been condensed into three must-have CDs from Hypnos... From a trio of different vantage points, Humidity - Three Concerts captures the ethnically-tinged, organically-evolving soundworlds improvised by the ambient master himself. Almost 74-minute-long Stanford opens on Lost Caverns of Caryatis which begins as a neo-ethnic flutefest accented with thumping beats, but evolves into a more abstract, windswept surge. Within the 14-minute-plus Demilitarized Zone, whale-like calls and ruffling electronics are heard over swampily churning bloops and rhythmic backdrop. Tinkling shards and ringing tones are stirred and boiled in a gloopy cauldron of sound in Ceramic Tincture (6:28). Moody and dense, Humidity Toward the Troposphere (14:24) closes the disc in a sweltering haze of organic evolutions and ethno/electro sounds; sometimes the lush-though-gritty primeval vibe veers toward spookiness. The six "Beyond" tracks of Venice span a shorter 47:23 interval, but pass through some of the more "humid" zones of this collection... misty and ethereal sonic entities waft over earthy contours of unknown places. The beautiful, though mournful, strands of Beyond Part 1 (16:26) elongate across the mutedly unfocused soundscape, stretching amid glints of semi-tonal bells and insectoid chitters. A streaming flow of electrons gets louder and louder; by the track's end it's a continually raging blast, absolutely the "noisiest" sounds I've hear from Mr. Rich. That caustic emission though soon becomes an organically stewing murk (Beyond Part 2) over which mysterious ethnic flutes wander and waver. The softly swirling percolations of Beyond Part 4 are laced with warm drones, ringing tones and electronic ebb and flow, accented by occasional bells and unidentifiable wispy presences. Fluttering with tiny electric burbles, Beyond Part 5 (3:52) glistens with animatedly chiming riffles over a hazy backdrop and water sounds. Disc three heads into Pasadena (62:44). 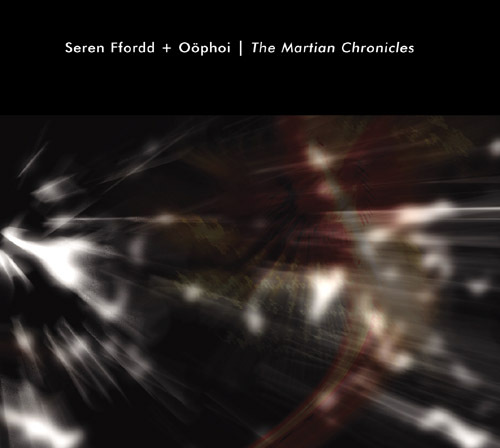 Beneath an evershifting whipser, echoing strings are plucked, strummed and stretched through Steel Harmonics, leaving behind a resonant haze which becomes Nada (6:05); eventually soft flute passages rise from the dust to swirl hypnotically. Watery thumps and clunks, flute strands and low-lying synthhaze adorn Nightsky Reprise (16:56). Synth-symphonics flow into the scene, which closes with mechanical bug noise, which soon melds with animal-like cries from the Hidden Refuge, backed by an enshrouded tone progression over undeniably marshy terrain. Looks like yet another classic from Hypnos... With almost three hours of otherworldy audioexperiences, Humidity has the 9.2 power and duration to literally swallow your world in strange, wonderful, isolationist explorations. " 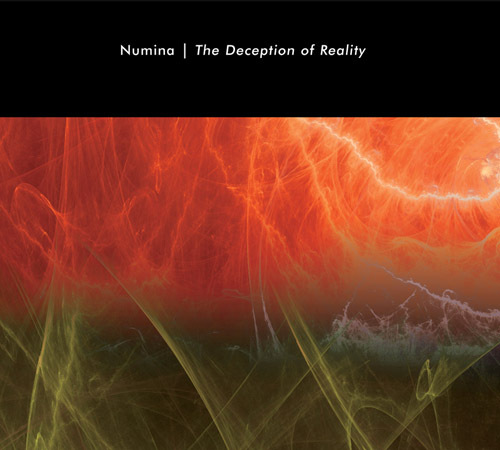 "From the new age accessibility of Rainforest to the international fusion of Seven Veils, the soundworlds of Trances and Drones and the evocative spacemusic of "Numena", the music of Robert Rich is well known to STAR'S END listeners. Rich's latest release is the epic 3CD set Humidity, a condensed record of three concerts that dealt with the areas explored on his noted works Stalker (w/Lustmord) and Night Sky Replies. While Robert Rich has become well known as a giver of the occasional nine hour Sleep Concert, the performances Humidity has been drawn from do more than just fill up the sleep space. The music is contemplative and subterranean but there is motion, power and activity present as well. Rich has always been good at producing music that conjures up mental images of lost places, visited through the absorbtion of his music. Analysis usually credits this to Rich's unique instrumentation which includes steel guitar, ethnic percussion and bamboo and homemade flutes. His skill at programming synths and sampler is often cited too, as is Rich's use of environmental recordings, the use of non-western scales to further de-stabilize the listener and the craft of effect processing to further manipulate the sound he realizes. But these are all just tools by which Rich demonstrates an immeasurable factor often referred to as talent but felt by the listener as spirit." A three CD live collection may seem a bit preposterous, but this is Robert Rich, an ambient artist with unlimited skills, and a unique ear for dark tonalities. That, along with the fact that his live presentations have garnered a reputation unto themselves, massaging the consciousness in ways that soothe, while still requiring subtly active participation (visualization is triggered-seeing with one's ears), makes this a more than worthy venture. The three concerts were recorded within slightly over a month of each other, discs two and three on consecutive evenings. Each disc captures the music of the moment, the singular improvisational impetus revealed as one second leads to the next. The synths carry weight, sound as mass, but it is not ponderous or discomfiting. Rather, the weight here settles gently on one's ears, a comforting claustrophobia in which darkness does not bring fear, only curiosity. Robert's knack for dense layering of synths, taking the broad, sonic scope and narrowing it to a precise point (a point that still, somehow, embodies depth), is uncanny. The sensation envelops the body, a second skin made of sound. The sporadic inclusion of instruments (the occasional flute taps into the nature spirit of the Native American without reducing it to cliche') and samples (well, water is a significant participant) flesh out the proceedings. 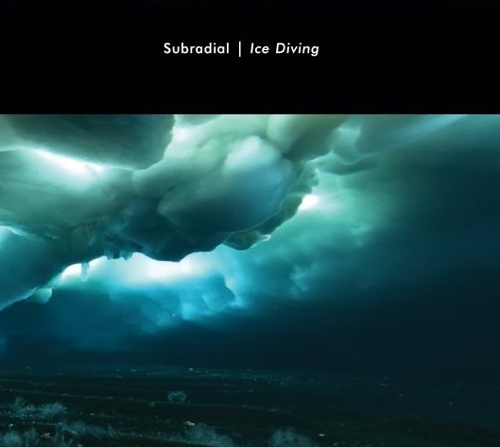 Disc two, containing six tracks entitled "Beyond," 1-6, is my favorite, Robert in a particularly forlorn mood (mood plays a key role in each evenings performance), the ever-flowing synths spanning the panoramic skies, while courting a more subterranean sonic base, aquatic and mysterious. When the ominous bell clangs three times on track 4, a chill climbs the vertebra of my spine -- perfection!" "It would be a shame to nod-off during these 'sleep concerts' recorded in 1998. Rich has given us a recording of True Ambient floating music for inner-travel -- a three disc set of complex, dense material, yet precious in its sparseness. The ever-morphing sound scapes are evocative of times and places recalled -- yet unable to pinpoint, as if visited in a dream. There is much going-on in these compositions, yet it does not call attention to itself, leaving the listener to pay rapt attention. 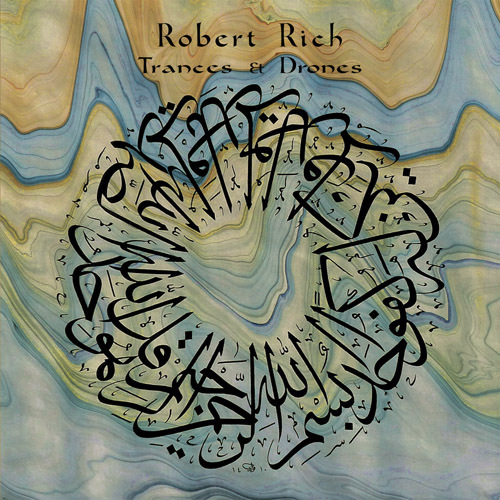 Rich has shown us that he is apt at group-styled efforts as in the Seven Veils CD, as well as his Amoeba releases, but this is a first for Rich as he takes his music to areas of beautiful electronics clearly outside of any other work he’s released. If one needed a comparison, Steve Roach's Atmospheric Conditions may have a similar 'feel' to it, yet that takes away from both artists work, as they are both creating truly individual and personal music. What's more (and it kept entering my thoughts the whole way through) is that it is much better than I would have expected. I should add that Rich has, for many years, made it into The Raging Consciousness Desk's Best-Of the Year pieces and rates as one of my favorite artists. 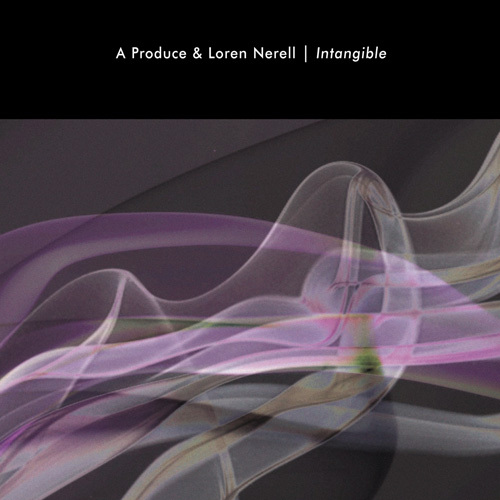 This is a seminal work and belongs in anyone’s collection that is serious about Ambient music. Rich is in a very elite grouping of artists that create truly imaginative, inventive music within the genre. "Humidity is a meteorological phenomenon giving rise to discomfort - the stickiness, the thickness and closeness of the air, and the ever-imminent threat of heat lightning tearing the night sky asunder. Oozing its own sodden atmosphere, Robert Rich's triple CD documents concerts from three hot (I must assume) Californian nights in 1998. Each individual CD is christened after the town in which the performance took place - Stanford, Venice and Pasadena. Entirely improvised and featuring acoustic ethnic instruments and disembodied voices rising above layered electronic textures, the listener is impressed by the sheer variety and imagination offered over some three hours. Of added interest is the interweaving of reworked versions of two cuts from his seminal collaboration with Lustmord, Stalker, into the mix. At times the music buries its snout deep in the moist earth, then claws its way up to emerge into a dank landscape of industrial abandonment, the rusty clonkings of ancient machines echoing like a reminder of the passing of the industrial age. But it also strives far up into the aether, especially when Rich purses his lips and brings his flute to them, proffering gusts of fresh, revitalizing air. A must of the fans of isolationism, a superb introduction to the work of Rich for the novice and an exemplary archival project on behalf of Hypnos, perhaps the foremost ambient label in America today." "Easily his best work since Stalker. There's some really spooky stuff in here, so be forewarned." "One of Rich's best releases ever. 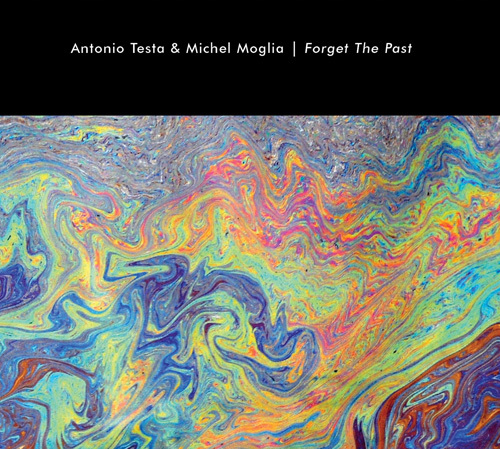 Reminds me a bit of Trances and Drones, lots of great flute and lap steel guitar solos. The long track that begins disk 2 (around 15 minutes) is one of my favorites, a long lap steel solo leads to a wonderful, mind-melting conclusion. Other Rich fans should definitely check this out." "A wonderful set, especially the Pasadena show (disc #3). The Stalker pieces are excellent! A must-have for all RR fans." "The eagerly anticipated latest Robert Rich release is here. And what a beauty it is, a marvelous 3-CD set of three different live recordings from April and May 1998 in California. Patterned after Rich's famous sleep concerts many years earlier, the emphasis is on things dark and droney. Mostly original material, also included are a couple of live interpretations of Robert's work with Lustmord on their Stalker CD - so that gives you an idea of the degree of darkness involved. Beautiful flutes and deep echoes get things started with "Lost Caverns of Caryatis," a long, flowing, brilliant piece of delicate ambience. A few tribal bleats are carefully placed, but for the most part it is devoid of rhythm. Music doesn't get much more soothing than this, though it might also scare you a bit with the lights out. "Bioelectric Plasma" is noisier and more intense, with giant walls of sound coming right at you. "Demilitarized Zone" has lots of water sounds and strange effects, with an uncharacteristic marching beat running through it. Each track plays with different layers of sound, featuring exquisitely rich tonal complexities. Titles like "Ceramic Tincture" lend themselves to the sense of music with a visible texture. Though the focus is on floating music, Rich's tendency for tribal rhythms surfaces now and again, particularly on "Submission to Pele," a great study in world drumming sounds and patterns. Disc two strips away nearly all sense of rhythm, leaving long, swirling drones. Simply titled "Beyond," this 47-minute, 6-part piece is subtle and deftly executed. With the exception of some jangling bell-like noises in part 5, there is no rhythm at all, leaving the music plenty of space to breathe and slowly evolve. Disc three shows yet another side of Rich's musical ability, starting with excellent guitar work on "Steel Harmonics." This track is surprisingly accessible, the guitar seeming almost playful compared to most of the darker musical fare. Those wonderful flutes return on "Nada," bringing back memories of Rich's collaboration with Alio Die on their Fissures CD. Most of the third CD remains lighter than the first two, but darkness descends again for the last two tracks to close. 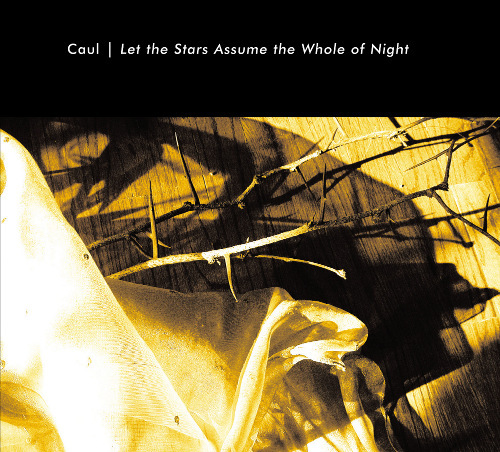 Dark, visceral ambient music. So palpable you can touch, taste and smell it."